Lucas Llach (1973), an economist (Universidad Torcuato Di Tella) and Ph.D. in History (Harvard) is the Vicepresident of the Central Bank of Argentina. He worked for years at Universidad Torcuato Di Tella in Buenos Aires, where he also directed the Department of History and the Master in Public Policy. His main area of research is Argentine economic history, a subject on which he has written several papers and books. With Miguel Braun he coauthored Macroeconomía Argentina, a macroeconomics textbook. He has been a consultant for the World Bank, the Interamerican Development Bank and the Argentine Ministry of Economy. 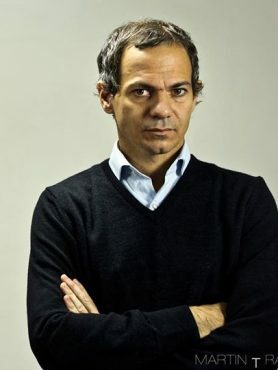 He was vicepresidential candidate in the 2015 primaries for the Unión Cívica Radical (with Ernesto Sanz as presidential candidate), within the Cambiemos front.